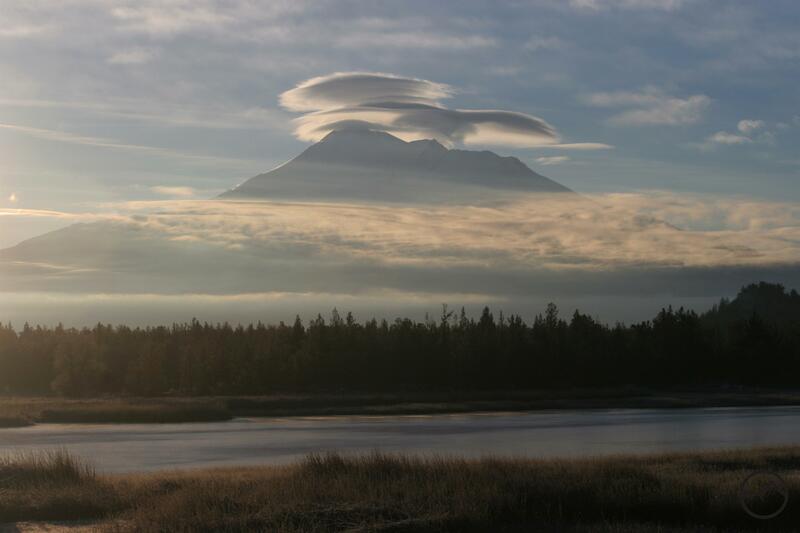 Shasta Valley view of lenticular clouds coalescing on Mount Shasta. The first image posted on Hike Mt Shasta. Today marks the one year anniversary of Hike Mt Shasta. It is not much of a milestone for a blog this small but it is still worth pointing out the passage of time since this modest endeavor’s launch. It is my sincere hope that for those who have found their way to this site it has been useful and edifying. For the folks spending time here and exploring this region’s magnificent landscape, it is my intention to provide accurate information along with helpful, attractive images. For the readers who are not hiking here, I have tried to convey a sense of the area’s great beauty and provide the opportunity to explore it vicariously through the written word. To all who have offered suggestions and other feedback, you have my thanks. However, the focus should always stay on the great mountain itself and the lands that surround it. It is to imbibe deeply from this incredible place that we have all arrived it this site, one way or another. To that end, I wish to mark the anniversary of the site by highlighting some of my favorite trails and blog posts. Thanks again for reading Hike Mt Shasta! Brewer Creek Trail: Traversing the lonely east side of Mount Shasta, this spectacular trail dishes up stunning views of a seldom seen side of the mountain. Highlights of the perspective include the massive Hotlum Glacier and the impressive Wintun Glacier. The Brewer Creek area itself is a magnificent, fragile alpine garden with incredible views of Mount Shasta to the west and underrated Ash Creek Butte to the east. A cross country scramble to the south leads to spectacular Ash Creek Falls, the tallest and most attractive waterfall on the mountain. This is one of California’s great waterfalls, though it is little known. A perfect view of the 330 foot waterfall plunging into deep Ash Creek Canyon is crowned by Mount Shasta’s mighty cone. This is reputed to have been John Muir’s favorite vista on Mount Shasta and it is easy to see why. Clear Creek Trail: Climbing steadily along the rim of massive Mud Creek Canyon, the Clear Creek Trail is a fantastically scenic path. Early on in the journey comes a monumental view that peers into the depths of the canyon, revealing awesome Mud Creek Falls, Mount Shasta’s largest cataract. The mighty waterfall is dwarfed by the epic scale of the canyon surrounding it. The vista also boasts a perspective of the Clear Creek Cascades. Higher up, the trail passes through great fields of lupine and rabbit brush before climbing above the treeline into the gargantuan basin above Mud Creek Canyon. Here the great turrets of the primordial heart of Mount Shasta tower overhead, marching inexorably towards the mountain’s soaring summit. In contrast to the barren, ashy wasteland, the verdant and wildflower choked Clear Creek Springs makes a tremendous destination. 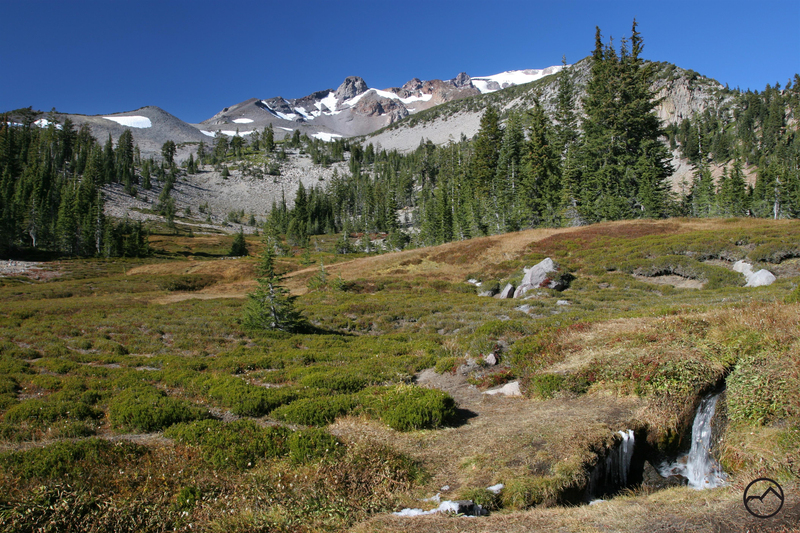 South Gate/Squaw Meadow Trail: Probably the finest hike on Mount Shasta and one of the most stunning trails to be found anywhere, this hike has it all. Great loop options and unrelentingly spectacular views along the entire route, this trail is simply amazing. The strikingly austere volcanic beauty of the mountain alternates with wonderful old growth red fir and hemlock groves. Gray Butte, Red Butte and Sargents Ridge all loom above various sections of the trail and the descent into the Old Ski Bowl has jaw-dropping views of the Trinity Divide and the distant Trinity Alps. Still, it is the meadow itself that is the star of this trail. Lush grass and wildflowers are stark contrast against the volcanic ash, pumice and talus. The gushing springs provide numerous watery channels through the garden, highlighted by a 150 cascade separating the upper and lower meadow. For the ambitious, an off-trail route leads to the west rim of awesome Mud Creek Canyon. Here one gets a sense that the mountain still lives as rocks fall into the chaotic depths, grand hoodoos hint at a fiery past and Konwokiton Falls flows below the eponymously named glacier. Deadfall Lakes Trail: A classic mountain trail climbing up to the summit of Mount Eddy and the finest view in the North State. Weaving through lush Deadfall Meadow and passing by the gorgeous Deadfall Lakes (the upper lake is the best! ), the trail ultimately makes the ascent up the seemingly interminable switchbacks that lead to the top of the peak. With each turn of the trail the view improves, eventually revealing the glory of Mount Shasta as hikers make the final steps to the top. 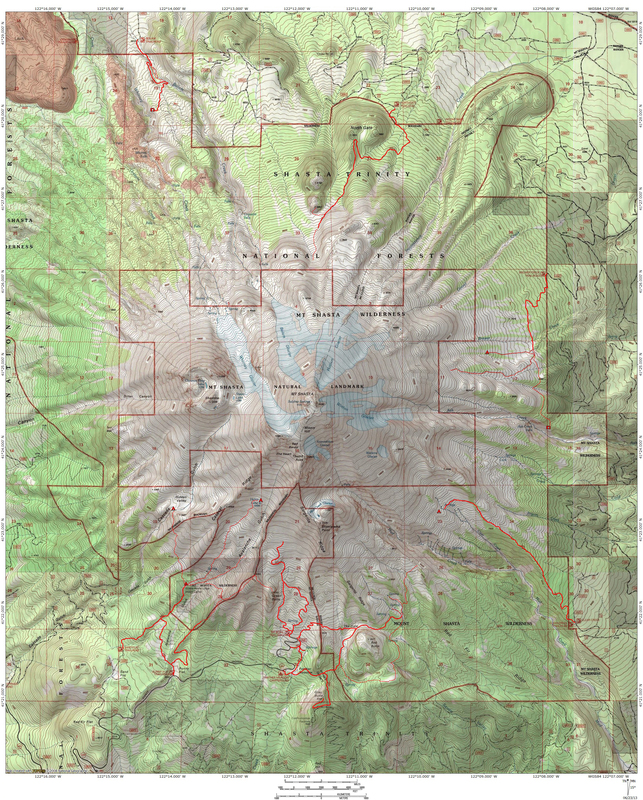 Complementing the view of the huge volcano is a 360 degree view of all the mountains in the region including the Trinity Divide, Trinity Alps, Marble Mountains, Siskiyous, Yolla Bollies, the Cascade Crest to the north and the Lassen Peak area to the south. 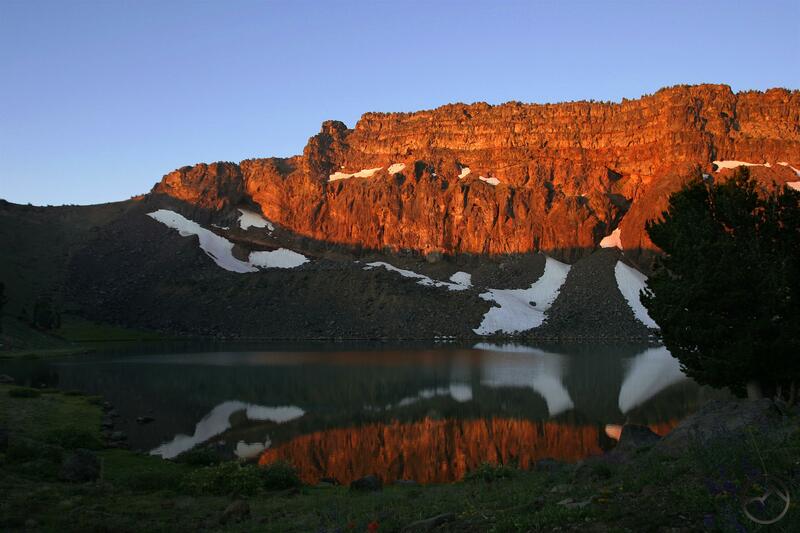 Many southern Oregon peaks are visible too, including Mount Ashland, Pilot Rock, Soda Mountain, Mount McLoughlin, Browns Mountain and the Mountain Lakes massif. Simply put, it is incredible. 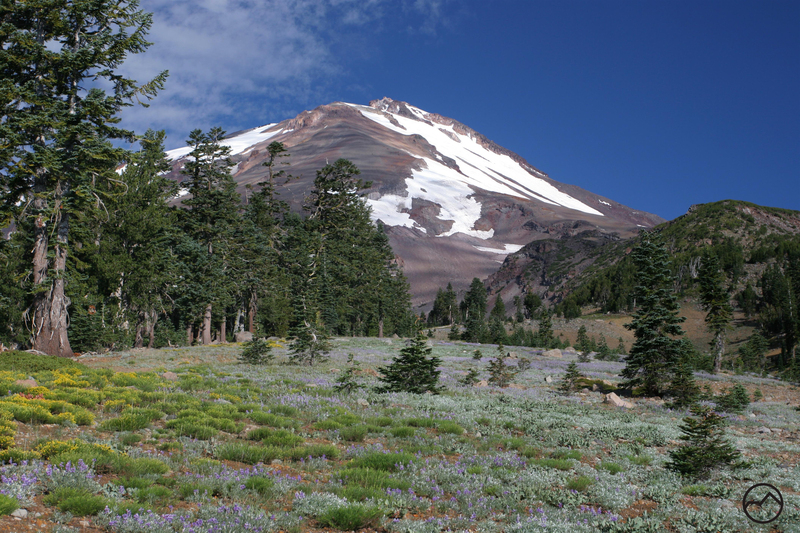 Sisson-Callahan Trail: A rarely hiked trail, and one of the longest in the Mount Shasta area, the Sisson-Callahan Trail is, in some ways, more a journey than a hike. 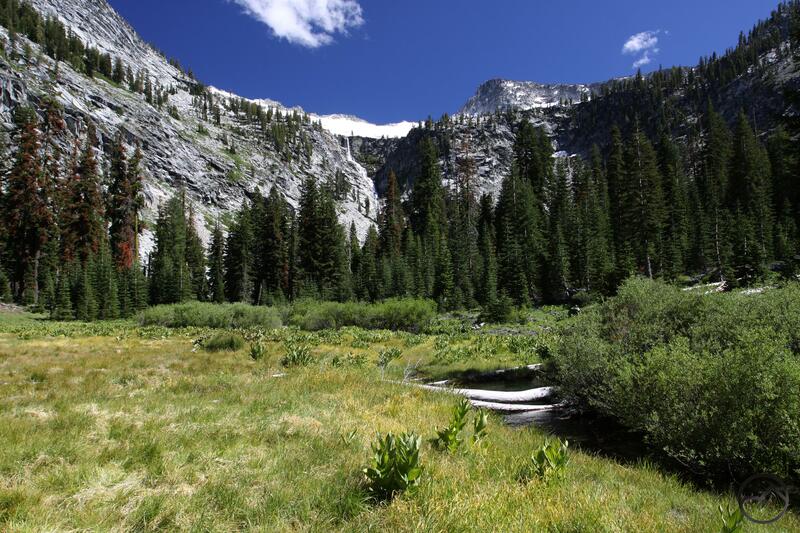 Accessed via a couple miles on the Pacific Crest Trail and passing the beautiful Deadfall Lakes, the alpine splendor at the beginning of the trail obscures the trail’s true nature. The steep descent down the flanks of Mount Eddy into the canyon of the North Fork of the Sacramento introduces hikers to the canyon that will ultimately lead them all the way to the main fork of California’s largest and longest river. 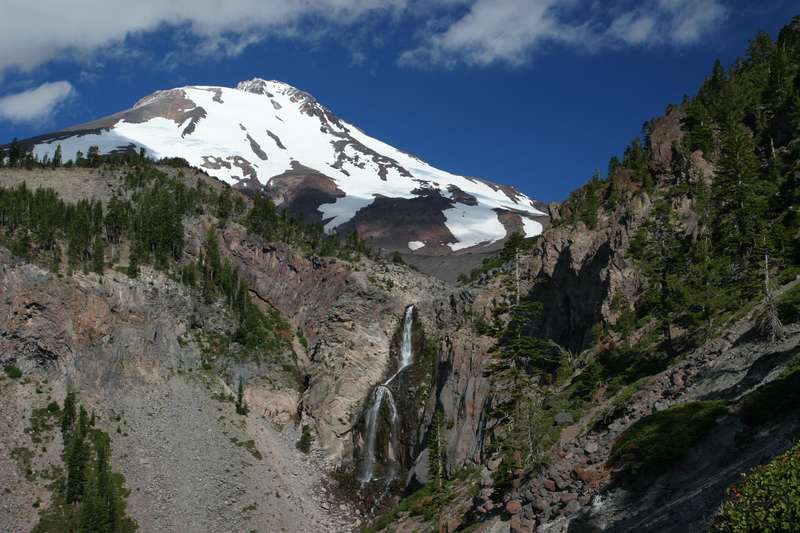 Along the way, the route passes lush meadows, rocky crags, deep gorges and and a seemingly endless succession of small cascades on the North Fork. The deep isolation and great beauty of the area endow the trail with an air of lostness in the best sense of the word. Grizzly Creek Trail: A difficult trail with tremendous payoff, the Grizzly Creek Trail is one of the classics of the Trinity Alps. Simply put, the Grizzly Lake complex, with its attendant peak, glacier, lake, waterfall and meadow is, for my money, the most beautiful spot in the North State (well, maybe it is tied with Ash Creek Falls, but this may well surpass even that!). Grizzly Lake, surrounded by sheer cliffs and capped with craggy Thompson Peak and the Thompson Glacier, is stunning and one of the finest alpine lakes in California. Grizzly Falls is a legendary, hard-to-reach waterfall that lives up to its fabled status. Pouring directly out of the lake, it free falls and then cascades hundred of feet down to Grizzly meadows. From there, the azure waters meander gracefully through the thick grass and great views before heading off on its raucous, cataract laden journey to its confluence with the North Fork of the Trinity River. 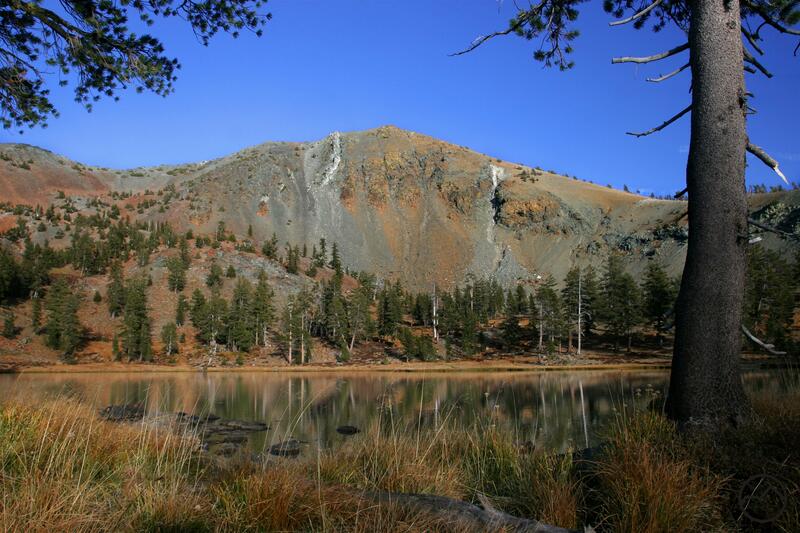 Patterson Lake Via Warner Summit Trail: Tucked away in the northeasternmost corner of California, the Warner Mountains are one of the state’s best kept secrets. Boasting fantastic cliffs and views, lush meadows, unusual flora and one of the great mountain lakes of the region, the Warners are tough to beat when it comes to scenic, lonely backpacking. The indisputable highlight is majestic Patterson Lake. Boasting strange cliffs soaring out of the water and surrounded by massive displays of wildflowers, Patterson Lake is an absolutely first rate destination. 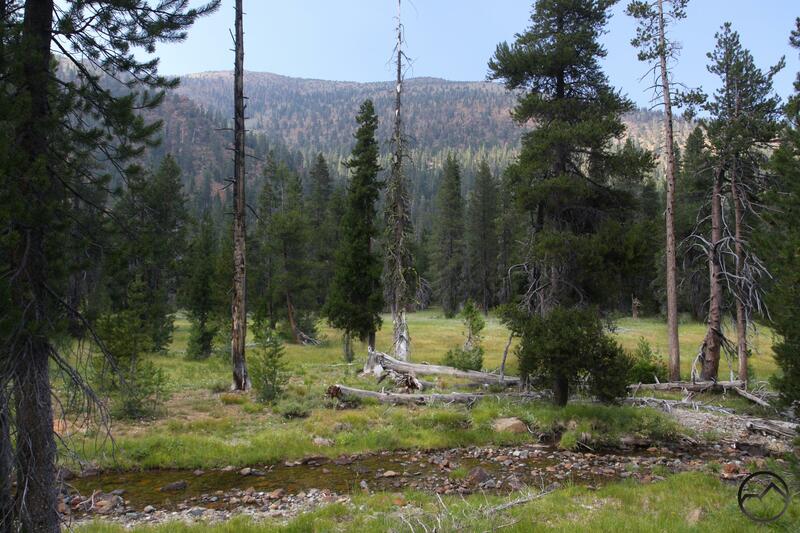 Add to that nearby views of Owl Creek Basin and hikers are blessed with one of the most scenic areas in California. Though there are a few ways to get to Patterson Lake, the Warner Summit Trail from Pepperdine Camp is the best (though the Pine Creek Trail is fantastic too). The trail has constant, excellent views in all directions and passes small but very scenic Cottonwood Lake. Connect this route to the Squaw Peak Trail for a top-notch loop. Thanks again for reading Hike Mt Shasta. I hope that it encourages everyone to get out and explore the trails wherever we are but especially those in the Mount Shasta area! I will certainly try. Thanks for the encouragement! Congratulations. And this blog is amazing! You are The Ambassador of Shasta. Marvelous and glorifying to the Creator of it all. Well done!